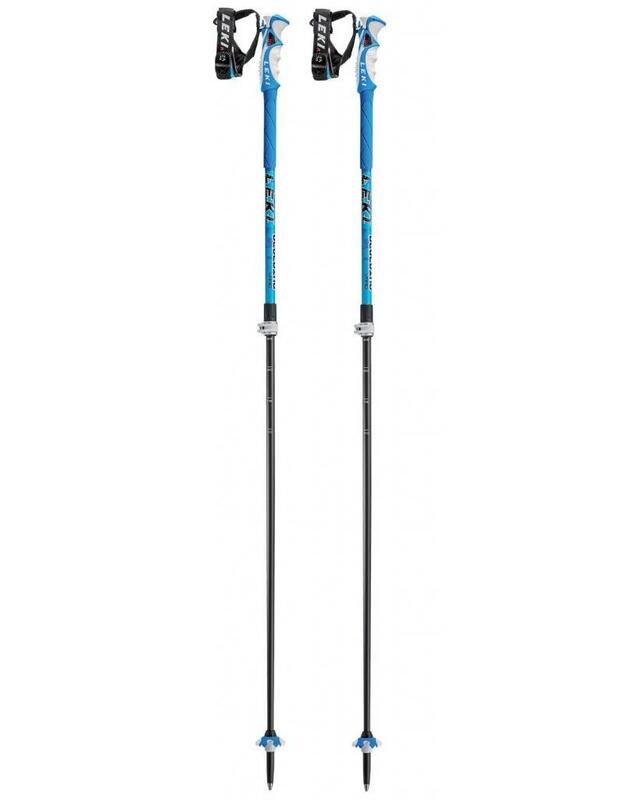 Sun, powder, backcountry and the Leki Blue Bird Vario S. Guaranteed to make your ascent effortless and your turns enjoyable. 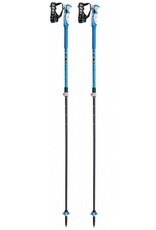 Thanks to its Speed Lock 2 mechanism, the length of the Blue Bird Vario can be easily and infinitely adjusted between 110 cm and 140 cm to suit a range of different terrains and snow conditions. The 16 mm upper part is made of high-strength aluminium, while the slim 14 mm base is 100% carbon. The “grip-to-tip” design runs like a blue thread from the famous Trigger S grips through the thermo grip extenders to the Big Mountain baskets. The Go-Pro Adapter fits perfectly into the grip thanks to the grip’s e-cap. The Go-Pro Adapter can be purchased separately.